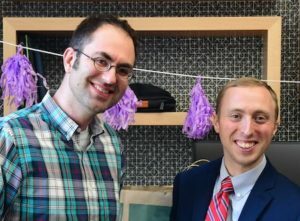 Congratulations to Dr. Paul Hutchins who successfully defended his dissertation titled “Computational strategies for the generation and analysis of mass spectrometry-based lipidomics data”. He begins work this spring as a Senior Chemist in Analytical Sciences at the Dow Chemical Company. Hutchins also received the Gary Parr Memorial award from the Department of Chemistry. The award is given for outstanding achievements in graduate research.